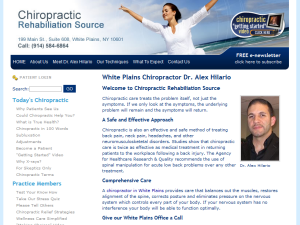 Chiropractic Rehabiliation Source offers White Plains residents with corrective chiropractic care since 2006. Coeur d’Alene and Post Falls residents with Diversified, Activator Methods®, Thompson, and Gonstead techniques. 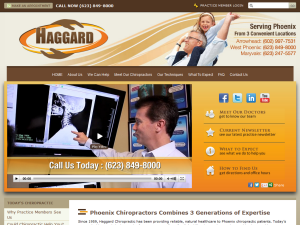 Haggard Chiropractic serves Phoenix residents with ArthroStim, CBP, Decompression, Intersegmental Traction, Laser, and Thompson chiropractic techniques. 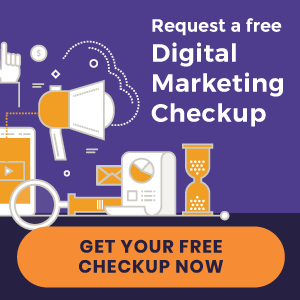 Also offers other additional services. 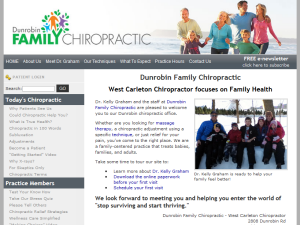 National College of Chiropractic graduate serves West Carleton and Kanata communities for over 12 years with Diversified, Activator Methods®, Thompson and CBP adjusting methods. 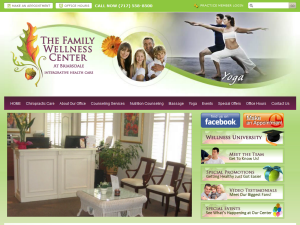 The Family Wellness Center serves Harrisburg, Hershey and Mechanicsburg communities with quality chiropractic care. Also provide Counseling Services, Nutrition Counseling, Massage and Yoga. 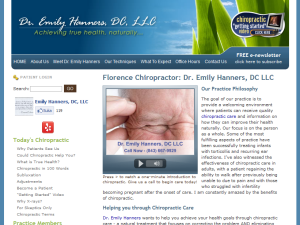 Palmer College of Chiropractic graduate provides chiropractic care in the Amador County community since 1998. Logan College of Chiropractic graduate serving Clearwater, Florida since 1982 with Diversified, Cox Flexion-Distraction, Activator Methods®, Electrical Muscle Stim, Extremities, Intersegmental Traction, Logan Basic, Motion Palpation, Myofascial Release, Thompson, and Trigger Point techniques. Ultrasound is also available. Logan College of Chiropractic graduate serves Kirkwood area with Diversified, Thompson, SOT, Cox Flexion-Distraction, Logan Basic and Graston adjusting methods. 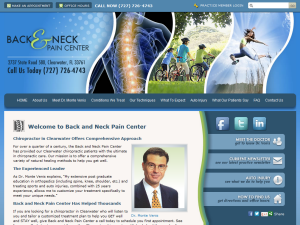 NorthStar Chiropractic Healthcare offers Monmouth County community with Diversified, SOT, Gonstead, Thompson, Cox Flexion-Distraction, Extremities and Toggle Recoil adjusting techniques. Other services and therapies are also available. Palmer College of Chiropractic graduate serving Raleigh, NC area with Gonstead, Diversified, Thompson, Activator Methods® and SOT techniques. 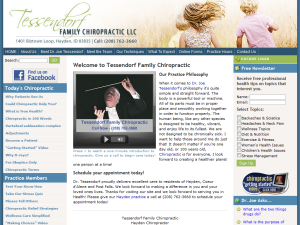 Palmer College of Chiropractic graduate serves Manitowoc residents and surrounding areas with Gonstead adjusting methods. 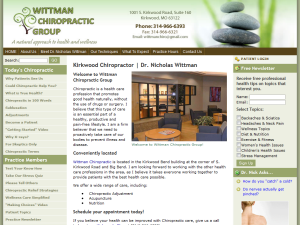 Palmer College of Chiropractic graduate offers quality chiropractic care for the Battle Creek community since 2010. Massage Therapy, Foot Levelers and Nutritional Supplements are also available. 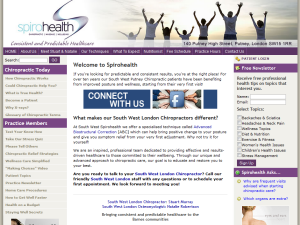 Spirohealth serves South West London area since 2000, offering Diversified and Advanced Biostructural Correction (ABC) chiropractic techniques. 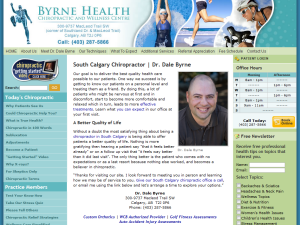 Western States Chiropractic College graduate serving South Calgary since 2001 with Diversified, Activator Methods®, Cox Flexion-Distraction, Myofascial Release, Trigger Point Therapy, Electrical Muscle Stimulation, Laser, and Motion Palpation techniques. Ultrasound is also available.